The NPSO Bulletin is published 10 times a year. view an archive of back issues. Other NPSO publications, click HERE. NPSO Book Reviews, click HERE. Choose a button to view/download a plant list for a particular location. We have included established lists as well as what we find during a specific hike, if available. The NPSO Emerald Chapter put together some extensive plant lists for their region! If you enjoy mariposa lilies (calochortus sp.) 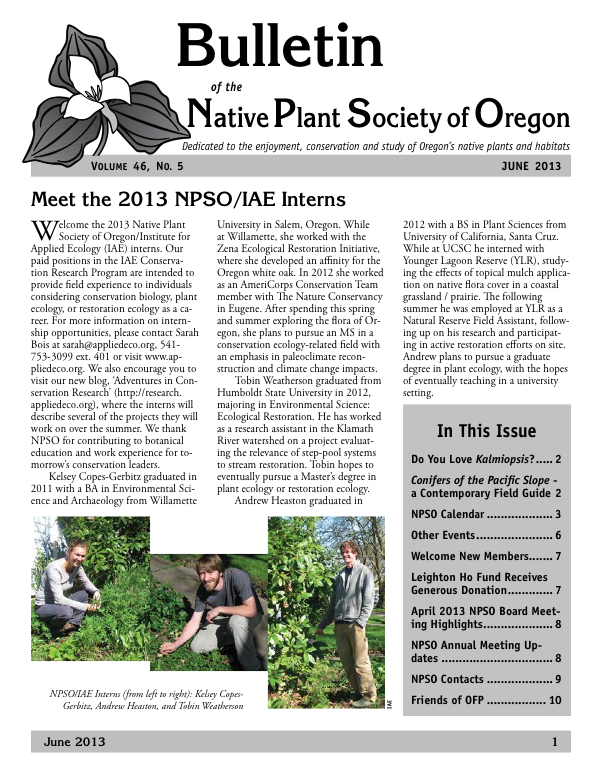 check out this 2005 Northwest Native Plant Journal. 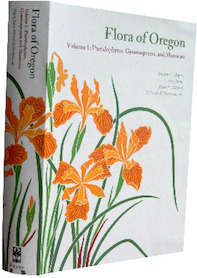 ​The Oregon Flora Project, Oregon State University, and Botanical Research Institute of Texas Press have collaborated to publish the Flora of Oregon Volume 1, the first comprehensive flora of Oregon in over 50 years — with illustrations! We have no control over the working order of the websites listed below. ​Click on a name below to go to a particular website.